If you're shopping around for the right level of equipment and don't see it on the dealer lot for the 2013 Chevrolet Silverado, don't hesitate to look at the GMC Sierra 1500, which is a mechanically identical (and otherwise nearly identical) alternative. The 2013 Chevrolet Silverado lineup appeals to truck traditionalists, offering a straightforward package that isn't as bold or fashionable as rivals but delivers in every way a truck should. Whether you know trucks or not, the Chevrolet Silverado is likely a familiar vehicle; in a huge swath of variations, it's the tool of choice for those who need to get things done. From sport trucks to hybrids, and up off-road rigs and heavy-duty models, the Silverado 1500 still stacks up well against rivals—no matter what the priority. The only exception might be styling; with no significant changes to its exterior or interior—save a few minor touches—since the 2007 model year, when this generation made its debut—the 2012 Chevrolet. It still looks like it means business (or pleasure, to truck folks), but with the introduction of a refreshed Ram 1500 lineup this year, the Silverado is now by far the most dated design of the Big Three trucks. For 2013 there are no major changes to the 2013 Chevrolet Silverado 1500 lineup; it still takes on the Ford F-150, Ram 1500, and the closely related GMC Sierra 1500. Just as before, there's no lack of models and build combinations. Chevy's full-size trucks come in a form to suit nearly every possible kind of truck user, from boot-wearing Texas hipsters to tie-wearing urban commercial architects—and everything in between. Shoppers can opt into one of three body styles, and one of two interior designs; from among four gas engines and two automatic transmissions, or one gas-electric drivetrain; and from bed lengths ranging from the smallest 5'-8" bed on Crew Cabs and Hybrids, to the 6-6" bed on all versions save for the Hybrid, to the 8' bed offered on all versions except the Hybrid. The powertrains offered in the Silverado are still competitive—except for the base 195-horsepower, 4.3-liter V-6, which we'd only recommend to fleet buyers. At the base level if you want a V-8 is the flex-fuel, 302-hp 4.8-liter; it's perfectly adequate but comes with a four-speed automatic transmission. A flex-fuel 5.3-liter V-8 with 315 hp comes in more mainstream versions, and it's outfitted with fuel-saving cylinder deactivation in some models; and at the top of the range, a 6.2-liter, 403-hp, flex-fuel V-8 in the Silverado LTZ. 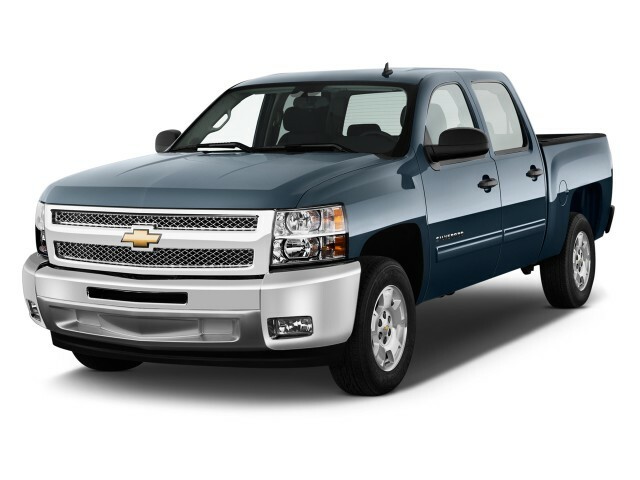 The 5.3-liter is our choice of the gas-only Silverados: it has ample power for almost every need, and comes with only a slight gas-mileage penalty over the basic V-6. Although the Silverado Hybrid has not been a top seller by any means, GM is continuing to offer it, and its 20-mpg city, 23 highway EPA ratings actually make them smart picks. The Silverado Hybrid is quite different from the other Silverado models, thanks to a two-mode hybrid powertrain that pairs an aluminum-alloy 6.0-liter V-8 with cylinder deactivation and variable valve timing, to an electrically variable transmission (EVT) with four fixed-ratio gears and two electric motor/generators, as well as a nickel-metal-hydride 300-volt battery pack. All together, these pieces combine to produce 332 horsepower and 367 pound-feet of torque. 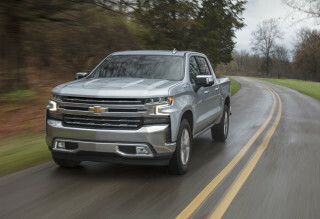 Despite its extra heft, the Silverado Hybrid can tow 6,100 pounds with 2WD, or 5,900 pounds with automatic dual-range four-wheel drive, and it performs about as well as 5.3-liter standard versions—although steering isn't quite as responsive. 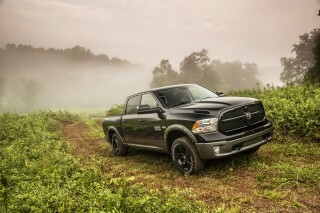 The lavish, upgraded cabin materials of the 2013 Dodge Ram trucks are going to be tough to beat, but the Silverado's cabin does well with the fundamentals. Front space is ample, and though the bucket seats could be more supportive for longer trips, we'd still opt for them over the flat front bench for personal use. On Crew Cab Silverados, the rear seat is placed high, stadium-style, and is split 60/40 so it can be folded down for more carrying space, but the rear seatback is nearly vertical, making it uncomfortable for longer trips. Build quality is tight, and in general the interior is hushed and refined. A flexible set of models, features, and options, as well as powertrains and body styles is still at the root of the Silverado's appeal. Somehow it's a model that not only appeals to work-truck buyers but also those seeking a luxurious commuter device or long-distance towing rig. GM's OnStar telematics system comes standard, and offers navigation assistance or emergency services (by subscription, after a year), while cruise control and Bluetooth connectivity are not on the standard-feature list. The 2013 Chevrolet Silverado is conservative, and possibly a bit dated, next to bold, brash rivals; but it's still handsome. The Silverado hasn't changed much at all since this generation first went on sale, in 2007, and while GM definitely got the style of these trucks right—and hasn't messed with a good thing—they're starting to look a bit dated and arguably a little bland next to increasingly bold and detailed rivals. Like its cousin, the GMC Sierra, the Silverado looks tidy and neat--but in this case, it's maybe a little too neat, as the truck world around it has gone nuts with exaggerated, hypermasculine looks (Ram, F-150, Tundra). The Silverado's headlamps grew larger in this generation, and the gold bowtie has too. There's little else to make the Silverado stand out in a full-size crowd. The grille remains as generic as can be, and the plain taillamps are echoes of the straight-edged cabin. On the other hand, except for some of the detailing (the lower bodywork, for example), we think that the Silverado lineup has aged really well, in a class where models (like the Toyota Tundra) can look dated surprisingly quickly if other automakers don't follow bolder details. On the inside, the Silverado and its GMC Sierra sibling offer two different instrument panel styles, making them a standout among trucks in this respect. "Pure pickup" versions come with a high dash fitted with lots of low-gloss black plastic and no center console, for three-across no-nonsense seating—like getting out to worksites, for instance. Upscale LTZ versions get a wide console, bands of wood grain trim, and metallic-painted pieces that look far richer and more appealing—and mimics that of Chevy's Tahoe and Suburban large SUVs. These versions are quite carlike inside, and the pick for those who plan to use the Silverado as a daily commuter or luxury vehicle. Across both models—even though the materials and some of the switchgear are different—you get a simple, businesslike gauge layout and soft blue backlighting, plus plenty of cupholders. The 2013 Silverado 1500 is no longer a standout for its powertrains, but its handling remains a virtue. There's no surprise that V-8 versions of the Chevrolet Silverado are the top sellers; we think that most buyers will be most satisfied with these larger engines, as they're stronger for towing or hauling while returning gas mileage that's about as good in light, real-world driving as with the base V-6. Rival Ford now has the edge over Chevy against the GM models' most affordable base engines. 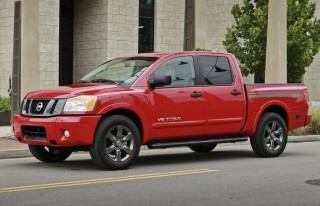 Fleet and work-truck shoppers might opt for the 4.3-liter V-6 with 195 horsepower and hooked up to a four-speed automatic. 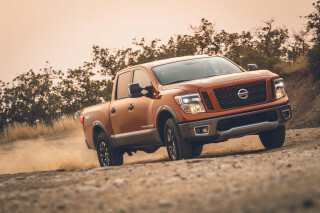 These trucks end up with a utilitarian feel and are only adequate in performance—with the combination sacrificing a lot of refinement compared to the V-8s. The next step up, the flex-fuel-capable, 302-hp 4.8-liter V-8, is also coupled to a four-speed automatic; it's a strong combination, yet there's more of a sacrifice in fuel economy. . 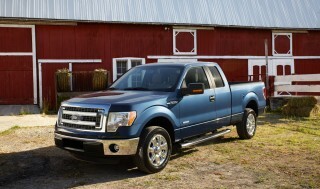 The flex-fuel-capable, 5.3-liter V-8 is our pick for most personal truck buyers. With 315 hp and cylinder deactivation for improved fuel economy in XFE models, with a six-speed automatic (that now for 2013 includes Powertrain Grade Braking, to help increase safety downhill with heavy loads), it's a responsive, relatively economical setup; plus it has great off-the-line acceleration and a brash exhaust note. In top-of-the-line Silverado LTZ models, you can get a stronger 6.2-liter, 403-hp, flex-fuel V-8, but we tend to think that it's not worth the extra thirst for most buyers' needs. The Silverado Hybrid remains part of the lineup, and even though it's been a slow seller we think it's worth a look for green-minded business owners—and discounts might apply at the dealership level to bring the cost down. It has a sophisticated, quiet two-mode hybrid powertrain combining an all-aluminum 6.0-liter V-8 featuring variable valve timing and cylinder deactivation, to which GM adds an electrically variable transmission (EVT) with two electric motor/generators and four fixed-ratio gears, as well as a 300-volt nickel-metal-hydride battery pack. Performance is about as good as that of the 5.3-liter V-8, with the setup making 332 horsepower and 367 pound-feet of torque. EPA fuel economy for the combo reaches an excellent 20 mpg city, 23 highway. Rear- or four-wheel drive versions of the Silverado remain available throughout the lineup. 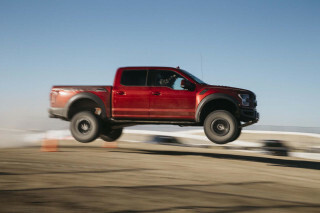 A single-range transfer case applies to base models, while pricier models get a dual-range 4WD or, on top models, electronically controlled four-wheel drive. Properly equipped, a long-bed, rear-drive, V-8 Silverado can tow up to 10,700 pounds. Even saddled with more weight, the Hybrid tows 6,100 pounds with 2WD, or 5,900 pounds with automatic dual-range four-wheel drive. What doesn't transfer as well to spec panels is that the Silverado trucks, for the most part, are some of the easiest full-size trucks to drive, with more communicative steering and good maneuverability—feeling a little smaller than the Ram or F-150, even if it isn't. Our only complaint otherwise is that the electric power steering for the Hybrid isn't tuned quite as well as that of the rest of the lineup. A comfortable interior and a simple but well-appointed cabin in general are let down by hard, upright back seats in the Crew Cab. Many years ago the Chevy Silverado had a reputation for a utilitarian, work-truck look and feel; but it broke markedly from that with its last complete redesign in 2007. Ever since then it's offered all sorts of luxury features—and for most of the model line, an interior that offers the comfort of a full-size SUV. On base versions, you can still get the work-truck layout, and space for up to six, however. Those luxury versions also compelled GM to lift the Silverado's game across the board, by improving its interior quality and fit and finish. The cabin of any of the Silverado models is very spacious. In some directions, the Ram 1500 or Tundra may have a few inches more to spare, but there's excellent headroom and legroom all around. The one thing we miss in the front seats—whether they're the base bench or any of the buckets—is lateral support; you won't feel at all held in place in corners. Opt for the bucket seats in front, and there's a very large storage area with a bin big enough for a netbook or tablet, a couple of Big Gulps, and some rubber-lined trays sized to hold smartphones and the like. The Silverado's big gauges fit the rest of the look, and big controls can be operated when wearing gloves. If you need back seat space, go with the four-door Crew Cab. Crew Cabs are fitted with a rear bench and are good for three-across adult seating; the stadium-style rear seat has a 60/40-split design and can be folded up for more cargo space. But even here, the rear seatback is too close to vertical for long-distance comfort. The Regular Cab version has just a sliver of space behind the seat, and Extended Cabs are marginally better, with space to hold toolboxes and gear, but not much more. The back seat in Hybrid models is mostly like that of the other Crew Cab models, but with under-seat space compromised (room for batteries). We've found all the Silverado models to be surprisingly hushed inside, with plenty of sound deadening and tight build quality—with less wind noise than you might think from such a tall, boxy vehicle. For some truck shoppers, comfort is also related to how much extra cargo-bed space you have for stuff. And across the Silverado 1500 and Silverado Hybrid lineup measure 5'8" long on Crew Cabs and Hybrids; all other versions have beds that are either 6'6" or 8'. The Silverado's safety scores are muddled, but advanced safety options give some further assurances. Although the limited crash-test results from both the Insurance Institute for Highway Safety (IIHS) and the federal government don't apply to all the Silverado's many body styles, there's enough evidence to come to some conclusions about the 2013 Silverado—which will be structurally carry-over from 2012. The IIHS has rated previous model years of the Silverado a "good" performer in frontal impacts, without specifying a body style. However, they also find the side-impact protection to be only "acceptable," and roof strength "marginal." Standard safety equipment is good, with side and side curtain airbags standard on all Silverado 1500 models. Anti-lock brakes, stability and traction control, OnStar, and tire pressure monitors are all included. Power-adjustable pedals and a rearview camera system are available, too. From luxury family pickup to bare-bones work appliance, the 2013 Chevy Silverado covers all the bases. Because the Silverado comes in such a vast number of build combinations, trims, and equipment levels—with seemingly unlimited option possibilities as well—it's very difficult to assess the list of features in the 2013 model as superior or inferior. And with multiple body styles, bed lengths, and drivetrains, we recommend that you start with what's good for you, build the kind of truck you need online, then look for examples at nearby dealerships that are close to the desired build. Head out to buy a Silverado without a very narrow, specific idea of features in mind, and it's a wild world. 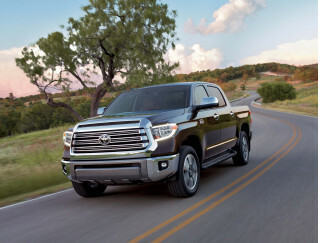 You might find a few bare-bones work trucks for less than $25,000 in the corner, while out in the lot there may also be $50,000 Silverado Hybrid trucks with real-time traffic and DVD entertainment systems. At the base level, the Silverado is a spartan workhorse, with few creature comforts: The windows wind up by hand; the locks lock that way too; the bench seats are covered in vinyl; and the AM/FM radio goes away if you want to save a hundred bucks. That's one extreme. The other extreme--with lots of steps between SL and SLT between—piles on luxury hardware like satellite radio with NavTraffic; navigation; OnStar; leather seating; a power sunroof; a power sliding rear window; Bluetooth; a USB port for media players; and of course, dozens of cargo-securing features, down to the bedliner itself. The Silverado's OnStar system now includes automatic crash response, crisis assist, and stolen vehicle slowdown, with a one-year subscription to the Safe and Sound plan. Hybrid models include a lot, and have more limited option potential. The base Hybrid could save you a lot of fuel, but it's rather meagerly equipped for the price, including cloth seats; steering-wheel audio controls; a USB port; Bluetooth; and remote keyless entry. Leather and a navigation system are available. The 2013 Chevy Silverado Hybrid is among the best in its class for efficiency. Full-size pickup shoppers usually go into it knowing what to expect—which usually means that they're ready for gas-mileage numbers in the teens. But it doesn't have to be that way. 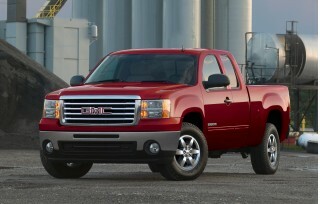 In the case of the 2013 Chevrolet Silverado Hybrid, it can be much, much better. With EPA ratings of 20 mpg city, 23 highway, whether you get 4WD or not, the Silverado Hybrid is the green choice for full-size truck shoppers. If you're going with one of the SIlverado's gasoline-only versions, they fare pretty well—although not quite as well as the latest editions of the Ford F-150. But the 5.3 also has cylinder-deactivation technology and an aero-smoothed XFE edition. The largest V-8 comes with a six-speed automatic that helps soften the blow, but it's still very thirsty. I absolutely LOVE my 2013 Ext Cab Z71 with the Z82 appearance package. It is more than enough truck for those loads. 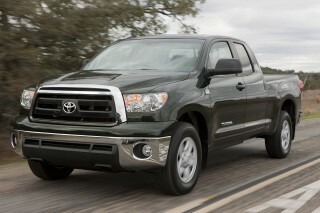 The gas mileage hovers right around 14 mpg, not great, but not bad either, well, because IT'S A TRUCK!! know that they come decontented for cost-savings, but those options have come to be standard over the last 20 years. I've been out in blizzard conditions and had no problem getting through the blowing, drifting snow. I carry a set of jumper cables and tow straps, just in case someone else needs the assistance, I know my Silverado won't have any mechanical or maintenance issues. although there is one annoying squeak/rattle in the passenger-side rear corner of the cab. I've checked everything that's bolted into that area and have found nothing that is loose or moving.